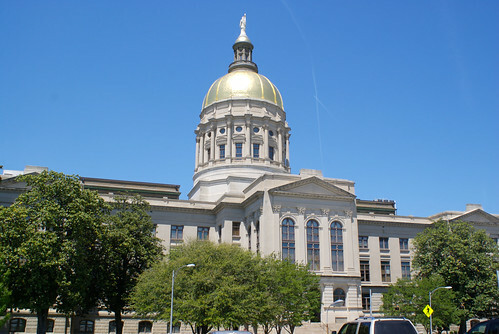 Urban Chickens Network blog: Georgia to Legalize Urban Chickens at State Level? Georgia to Legalize Urban Chickens at State Level? If you've taken a look at the nascent Urban Chickens Network Legal Resource Center, you know that trying to keep track of the seemingly endless variations of ordinances regarding keeping chickens in the backyard is a difficult task, at best. It seems every town and city has to have its own version of the law allowing urban chickens (if, indeed, they are allowed), and depending on just where you're geographically located, you may not enjoy the same chicken-owning rights as your next door neighbor. Thanks to frequent reader Linda S, I've been alerted to an interesting approach being proposed in the state of Georgia. The Georgia General Assembly is considering a statewide law governing the growing of crops and keeping of small animals in HB 842 - Agriculture; preempt certain local ordinances; protect right to grow food crops; provisions. A BILL to be entitled an Act to amend Chapter 1 of Title 2 of the Official Code of Georgia Annotated, relating to general provisions relative to agriculture, so as to preempt certain local ordinances relating to production of agricultural or farm products; to protect the right to grow food crops and raise small animals on private property so long as such crops and animals are used for human consumption by the occupants, gardeners, or raisers and their households and not for commercial purposes; to define a term; to provide for effect on certain private agreements and causes of action; to repeal conflicting laws; and for other purposes. Now, whether or not the bill passes, I like this approach: deal with matters on a state level so that the constituents don't have to scratch their heads wondering whether something legal or illegal based on the whims of the local government. It'd sure go a long way toward simplifying the process of knowing where your food comes from. Does anyone know of another state that is considering (or has even passed) such a law? 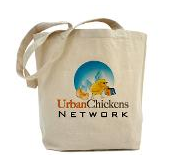 Oh, and have you yet added your own town's urban chicken ordinance to the Urban Chickens Network Legal Resource Center? We're at 36 cities and growing!